I’ve understood Ascension all wrongly. 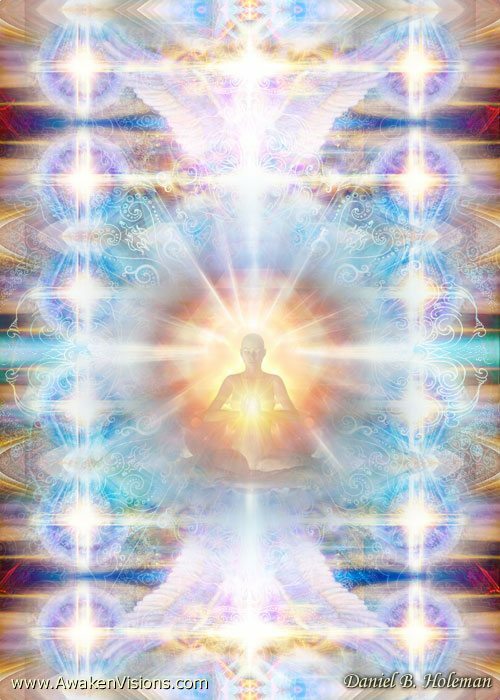 I’ve assumed that, ascending, I will have gone elsewhere, to another world, to a higher-vibrational world that is not here.That isn’t at all how I understand Ascension now. Have I ascended? I would say “yes,” based on my own experience, which is uniformly blissful, happy, joyful, easy. Yards above my feeling state before. The elevator has gone up a few floors. And I would base that assertion as well on a reading with Archangel Michael through Linda Dillon this morning, in which he confirmed it. I’m living in the Fifth Dimension. And guess what? I see the same world as you do. But my state of being is entirely different than it was. I walk down the street laughing. I feel buoyant and joyful. Meetings happen with an ease to them. As Werner said, you do what works and what you do works. He probably was describing the Fifth Dimension. I have a friend who ascended along with me, 150 miles away after the reading. Our experiences match. There are no problems in this domain. The problems adhere to the Fourth and old Third. That’s why Einstein said you can’t solve problems viewing them from the level at which they’ve been created. There isn’t enough juice to solve them. Come up to the Fifth and you still don’t solve them because they completely disappear. When they reappear it’s probably because we’ve gone down to the Fourth. I have no desire to go there anymore. I invite people to come up to the Fifth. I, the person sitting across from you at the table, in the same Starbuckls as you but in a different vibrational state. I’m a pillar so it’s my job to invite, cajole, or shove the last stragglers through the Ascension Portal before I turn out the lights. But I turn out the lights on a vibrational state, not on a geographical location. My baseline is a feeling of well-being. It isn’t even confidence because this state transcends confidence. There’s no issue to be confident about. There are no issues any longer. If I try to see the Fifth Dimension from a Fourth-Dimensional perspective, it doesn’t work. All the metaphors fall short. One has to see the Fifth from the perspective of the Fifth if one wants to understand it. But there’s no need any longer to understand anything, once one has snuggled into the Fifth. There’s only a need to love it. Meanwhile this state is its own reward. I’m not waiting for anything any more. Each moment is a revelation or a surprise or an opening.